The first-ever ‘North-East Festival of India’ will be held in Bangkok, on 9th and 10th of February, at Central World (Zones A and B). The North-East region of India consists of seven exotic and culturally rich states- Assam, Arunachal Pradesh, Manipur, Mizoram, Meghalaya, Nagaland, Tripura. Some of the ethnic tribes in the region speak the ‘Tai’ language (which closely resembles the Thai language), and infact, it was none other than HRH Princess Mahachakri Sirindhorn, who visited this region some years back. In order to introduce the riches of this region to the Land of Smiles, the Embassy of India, in collaboration with various partners , has organised a mega ‘North-East India Festival’, on the coming week-end, which covers a large and exciting range of activities. They include seminars and discussions on bilateral trade and investment, education, tourism, with important participants from both countries. They include academics, historians, entrepreneurs, tour operators, and hi-level officials from the Govt of India, State Govts of North-East India, and Govt of Thailand. The seven North-East states or ‘Seven Sisters’ as they are called, have a rich and varied range of folk traditions, and these will be in full display at the Festival, through their colourful and charismatic folk-dance forms, like the Naga, Manipuri, Bodo, Bihu, Bagrumba, Assamese and other dances. What’s unique about the North-East region of India, is that apart from ethnic tribes, they have a diverse range of communities, religions, thanks to which they boast of diverse and rapidly developing music forms. Thus, they have brilliant pop, rock, rap bands, and also some famed individual singers. Many top rock bands of North-East India, like The Chronicles, The Featherheads, and others will be performing at the North East Indian Festival, as also well-known individual singers like Rahul Rajkhowa, Zubeen Garg, and international DJ Teri Miko. 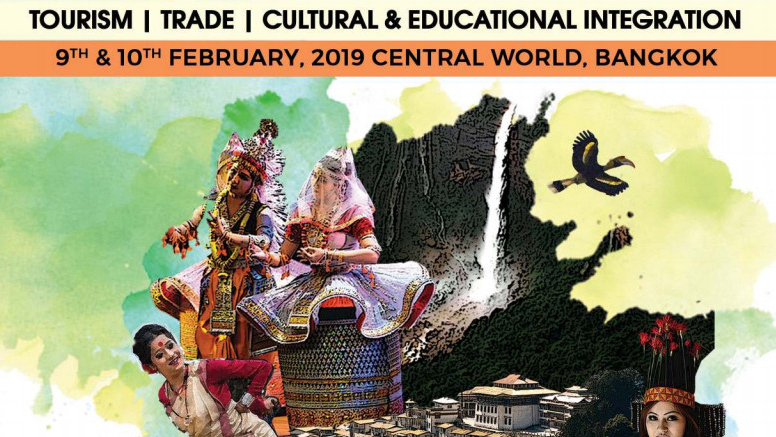 Infact, a special program of the Festival, involves a unique ‘People to People Exchange Programme’ on 10th February, among students, academicians, historians from North East India and their South East Asian counterparts, in order to discuss their shared heritage. All the events at Centara Grand Hotel, are on Invitation.